Good morning. I ask for prayers to get a new job. I feel lost and unproductive. May God give me the grace to know where i could find the work that my heart desire. Lord Jesus, please, show me which steps to take. 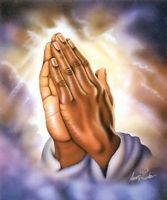 I also ask for prayers for C. Marcela, for her health problem. Thank you for your prayers. Thank you for praying for our concerns and warries. Thank you very much.